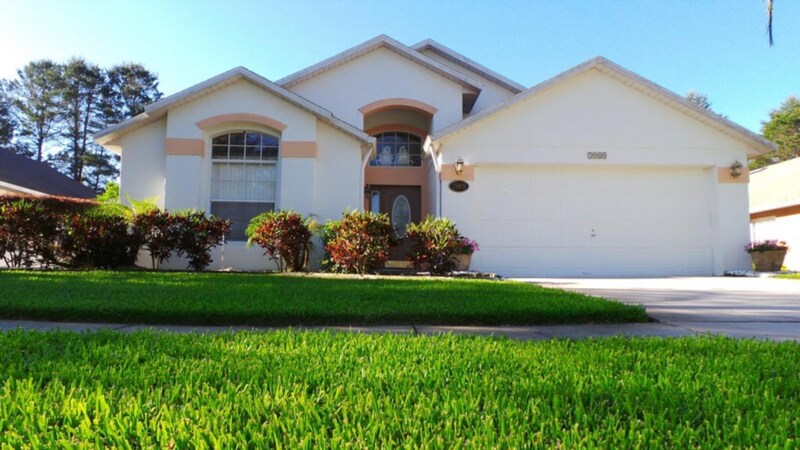 4 bed Kissimmee vacation rental home w/ south facing pool! Unlike the Dalmatians, this house is SPOTLESS! 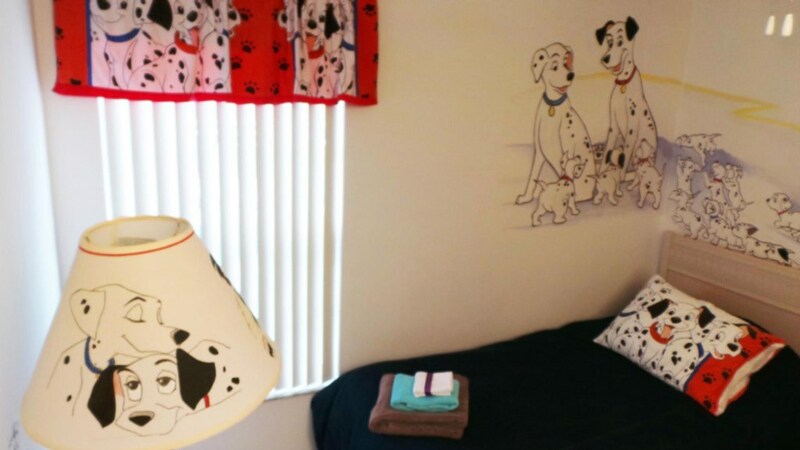 Everything you need is here at 101 Dalmatians' Den! Traveling with little ones? We have you covered with a Graco Pack N Play with changing pad, Napper and Bassinet. Beauty queen in training? Don't worry! We have a magnifying 5x mirror, makeup caddy and hair dryers in master suites. Just want to relax after spending the day experiencing the magic of Disney World? How about soaking in the hot tub or floating in the pool to relieve tension and cool off! Or maybe you'd prefer curling up in one of the comfortable beds and watching a DVD? The south facing pool is truly a luxury. Surrounded by lounge chairs, you're sure to catch a tan in the beautiful Florida weather while you sip on your favorite refreshment! In the evening, enjoy the mood enhancing pool and spa lights for beautiful night time dips. There is even a half bathroom right by the pool, and an outdoor shower for you to rinse off in after swimming. If a pool isn't enough to keep everyone entertained, check out the games room with a beautiful pool table, foosball, and darts! But that isn't all... you'll also find MP3/CD stereos, TV's with DVD players, and a Wii system! This house makes it easy for your entire family to have fun. 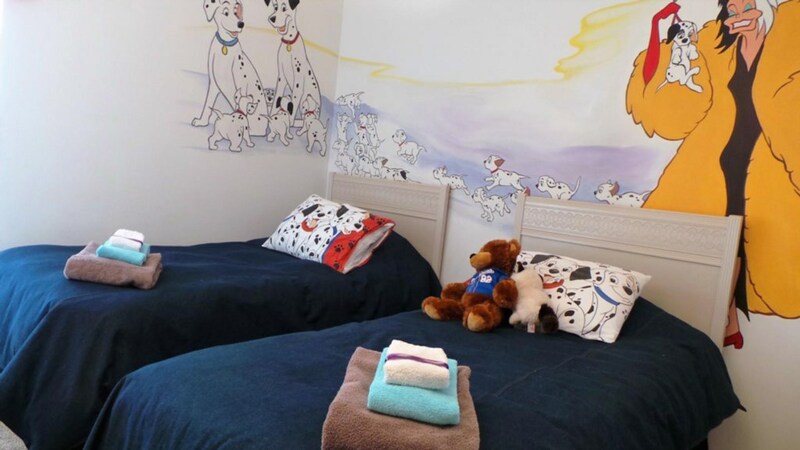 Decorated with a very luxurious touch, 101 Dalmatians' Den will start to feel like your home away from home. Ample counter space means that your family can keep you company as you prepare dinner in the fully equipped kitchen, or you can keep an eye on the movie playing in the living room from the kitchen. At the end of the day, when everyone is ready to retire for the night, enjoy stylish beds with comfortable linens. 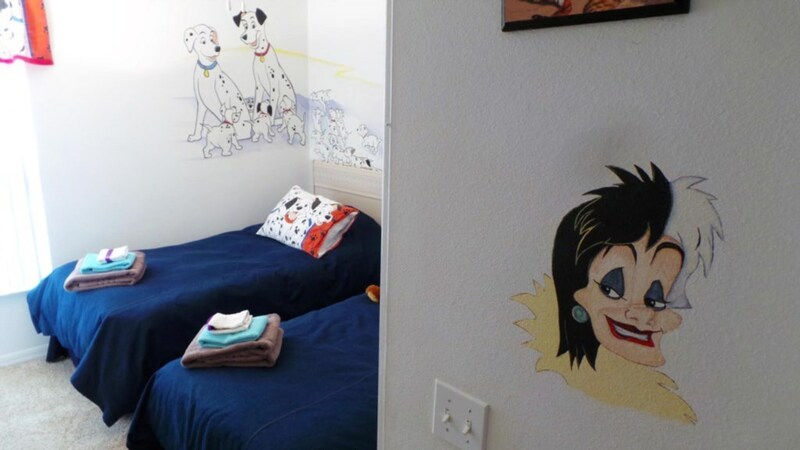 Your kids are sure to love the themed bedrooms! You're sure to love feeling like you're at home in this luxurious pool home, with easy access to restaurants, shopping, grocery stores, pharmacy and theme parks!